Fastening nuts on threaded rod can be a struggle due to the confined space and obstructions around the rod. Lateral movement is limited. On long sections of threaded rod, traditional nut drivers bottom out so you can only get the nut so far up the rod. 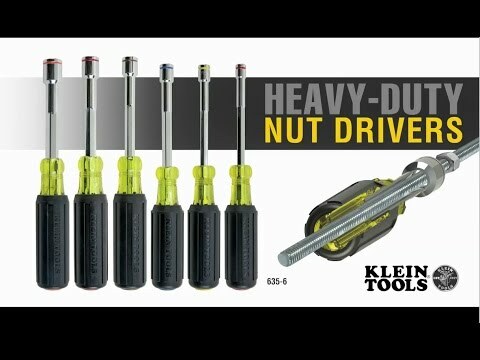 Klein's Heavy-Duty Nut Driver feature a through-handle, completely hollow shaft to allow for nutdriving on unlimited bolt lengths. Wrench assist provides greater torque while the magnetic tips will grab any nut appropriately.